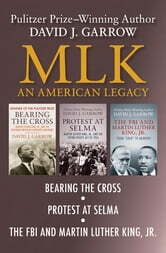 Bearing the Cross, Protest at Selma, and The FBI and Martin Luther King, Jr.
**Three meticulously researched works—including Pulitzer Prize winner Bearing the Cross—spanning the life of civil rights icon Martin Luther King Jr. 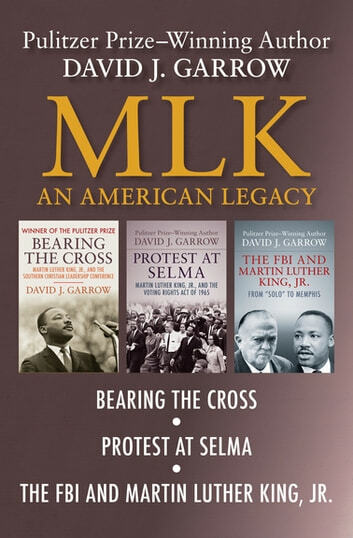 This collection from professor and historian David J. Garrow provides a multidimensional and fascinating portrait of Martin Luther King Jr., and his mission to upend deeply entrenched prejudices in society, and enact legal change that would achieve equality for African Americans one hundred years after their emancipation from slavery. Bearing the Cross traces King’s evolution from the young pastor who spearheaded the 1955–56 bus boycott in Montgomery to the inspirational leader of America’s civil rights movement, focusing on King’s crucial role at the Southern Christian Leadership Conference. Garrow captures King’s charisma, his moral obligation to lead a nonviolent crusade against racism and inequality—and the toll this calling took on his life. Garrow delves deeper into one of the civil rights movement’s most decisive moments in Protest at Selma. These demonstrations led to the landmark Voting Rights Act of 1965 that, along with the Civil Rights Act of 1964, remains a key aspect of King’s legacy. Garrow analyzes King’s political strategy and understanding of how media coverage—especially reports of white violence against peaceful African American protestors—elicited sympathy for the cause. King’s fierce determination to overturn the status quo of racial relations antagonized FBI director J. Edgar Hoover. The FBI and Martin Luther King, Jr. follows Hoover’s personal obsession to destroy the civil rights leader. In an unprecedented abuse of governmental power, Hoover led one of the most invasive surveillance operations in American history, desperately trying to mar King’s image. As a collection, these utterly engrossing books are a key to understanding King’s inner life, his public persona, and his legacy, and are a testament to his impact in forcing America to confront intolerance and bigotry at a critical time in the nation’s history.